I love porridge. I really do. I love the warm creaminess, the wintry feel and the way it fills you up for ages. I even have the cooking down to a fine art so I can put a pot on, go and get dressed and fix my face, and come back to creamy oats. It’s taken a lot of trial and error (once I left an element on for 12 hours while I went to uni! ), but I’m happy with where I’m at! One day when it’s more than just me eating it, I’m going to try cooking them in the slow cooker overnight. Yum! I really can’t do microwaving. It explodes everywhere and I get a hot sticky mess every time I do. I’ve tried every way known to man but it’s just not happening for me. While I never thought I’d deviate from my original porridge formula, I soon got hooked on my apple pie version. Such a handy way to get a bit of extra fruit and fibre in your diet. I thought I’d mix it up a bit because I struggle eating bananas on their own, but can usually handle them in other things. Thus the banana-choc-chip porridge was born. It’s a little bit fun. 1. Mix oats and water/milk with the salt in a saucepan and place on low heat. 2. Simmer 10-15 minutes until oats are creamy, adding more liquid as necessary. 3. Add banana, taste for sweetener. Sprinkle with choc chips. I was brought up on oatmeal . . that is what we called porridge. I have been a lover all my life. Had to print this recipe . . great way to eat a banana. I've done the overnight otmeal and it is wonderful. yes I always call it oatmeal, in my head I'm American! But porridge sounded better with these ingredients haha. It's pretty delicious. I've not tried the overnight oats, I am too scared to eat it cold! Choc chips for breakfast? I'm not going to let my hubby see this post 🙂 In our house, he's the sweet tooth monster. It's better than choc chip pancakes? I've only ever done it once in 32 years, so I think it's ok! I fully support the addition of chocolate chips to just about everything. I also fully support the addition of peanut butter to just about everything. I cheat making porridge here…I always make it in the evening and then I add a bit more milk and reheat it in the microwave in the morning. I generally add a bit of applesauce and some cinnamon…but tomorrow I think I will go with banana and chocolate chips! My boys are obsessed with your fluffy pikelets, so will be trying this for them. 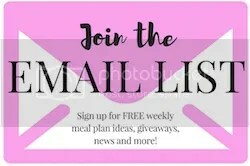 Love love love your recipes! This looks so yummy! This morning we tried buckwheat porridge with cinnamom, mixed spice, honey and milk – it was really yummy! this sounds yummo. 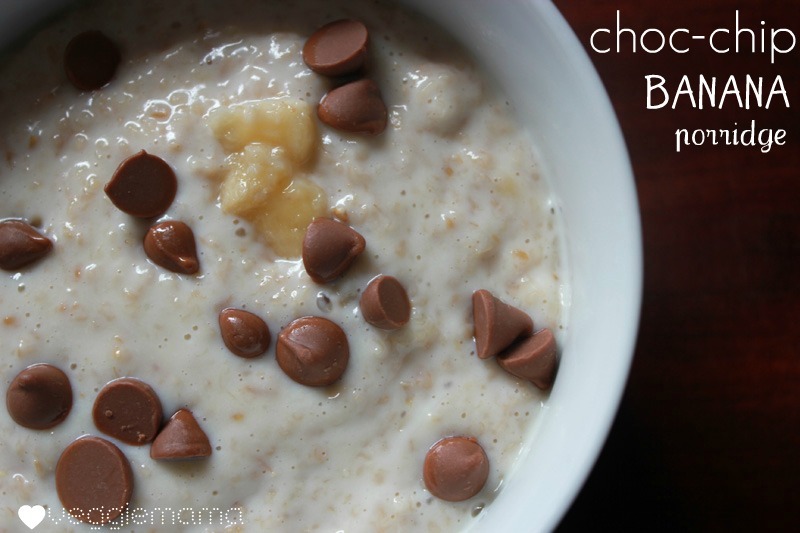 i've recently gone off oats but this (minus the choc chips) sounds brilliant. might try these soon! I love porridge too, it's been the one thing that will make me haul out of bed this winter. I'm a purist though and have always resisted messing with my formula. But chocolate chips?! genius man. I will break them rules. I like mine cooked with all milk (water makes it yucky! ), apple and cinnamon. Once cooked I throw in whatever other fruit I feel like. Peaches in mango juice is brilliant, as is blueberries or raspberries. I've also mixed it up by adding 1/2 coconut milk- which is also good with buckwheat. Porridge is just the best. I'm scared of buckwheat porridge, but maybe I should try it? That combo should be illegal it looks so good! I want to pin it! Can you please invite me? Ordinarily I'd agree with you – I was all milk, all the way! But then I switched to soy and I was terrified the soy flavour would take over the porridge flavour, so cut it with water. I seriously couldn't tell the difference and now I still do it even though the soy milk I use is really mild. The coconut milk I've GOT to try!